BOA provided the inspiration for the shape of its sister piece Cobra, which was created a year later. The unique structure enables the piece to support weight, thanks to the object’s welldisguised variable longitudinal cross-section. The BOA chair can be paired with any type of table. 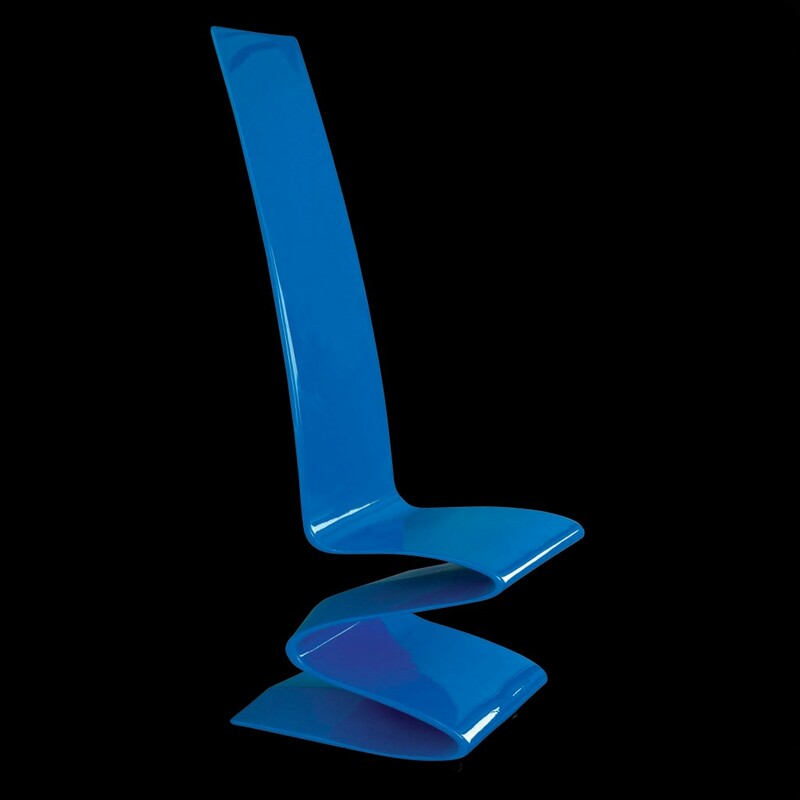 Its slender, sculpted and finely crafted form results in a fullymoulded piece with no corners or edges, making this the top of the line among Pierre Cardin’s chairs. The colour can be customized to suit the client’s needs and coordinate with other pieces.